Meet Teacher at Sea Moira O'Malley! Learn about this Arctic adventure! Download student data from the cruise! The Nansen and Amundsen Basins Observational System (NABOS) is an international team of scientists monitoring changes in the eastern Arctic Ocean. The 2018 expedition is 55-days long and began August 9 from Port Kirkenes, Norway. Next stop was Port Arkhangelsk, Russia, gateway to the Russian North and the Nansen and Amundsen Basins (see map below). Why do scientists work in this cold, remote area? These basins are located where warmer water from the Atlantic Ocean enters the much colder Arctic Ocean. 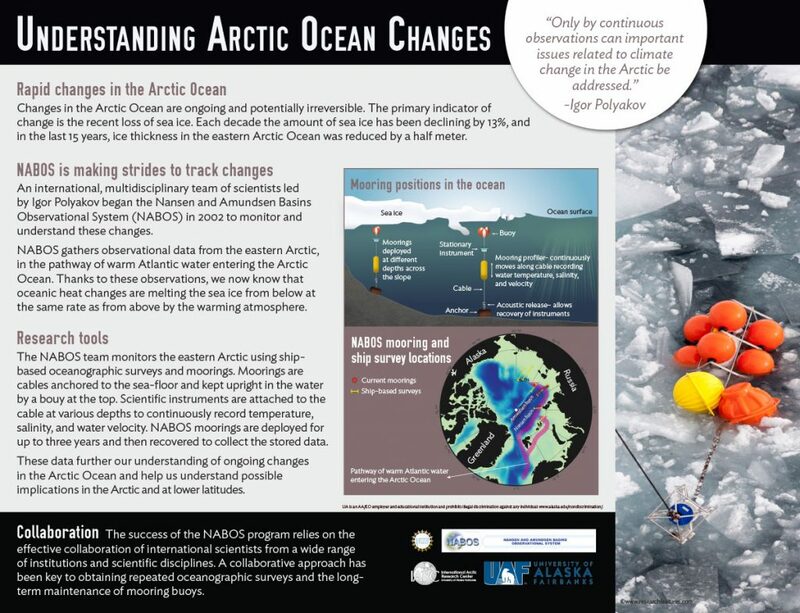 NABOS has been collecting scientific data here since 2002 to study how this mixing affects Arctic Ocean circulation patterns and the marine creatures who live in this part of the world. Their data will help us better understand climate changes in the Arctic Ocean. Akademik Tryoshnikov is a Russian diesel-electric research vessel, and flagship of the Russian polar research fleet. It's 438 feet long, and more than capable of handling stormy, ice-filled seas. 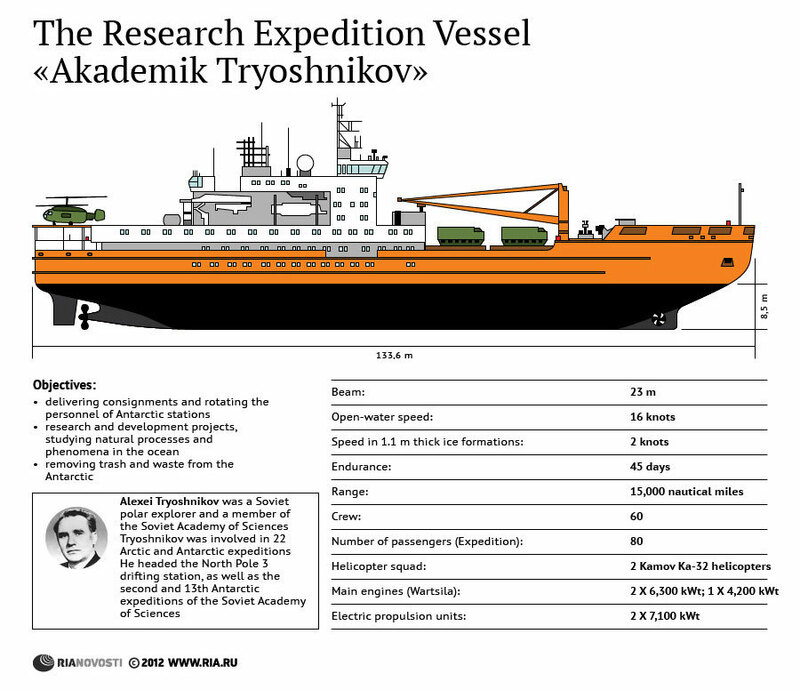 The ship is named in honor of Alexei Tryoshnikov, a Soviet polar explorer and member of the Soviet Academy of Sciences. What is the ship used for? It delivers supplies and people to research stations in the Arctic and Antarctic. It supports scientists studying natural processes and phenomena in the ocean. It is used to remove trash and other waste from the Arctic and Antarctic. Here are more details on the ship.